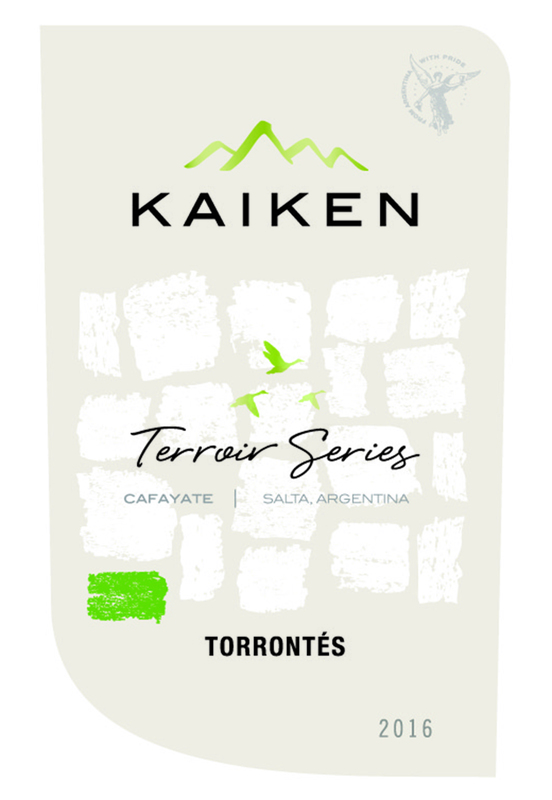 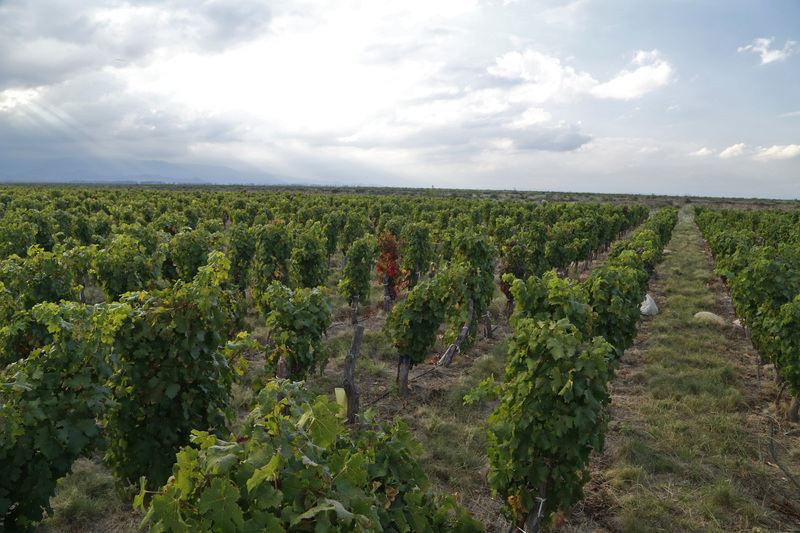 Our Kaiken Terroir Series Torrontés is an elegant wine with a bright greenish-gold color typical of the variety. 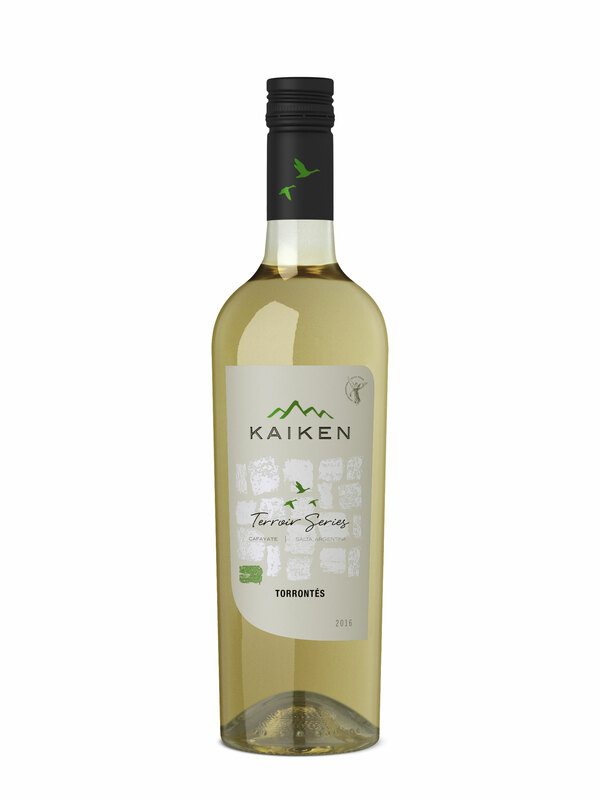 The nose impresses with a delicious and varied aromatic expression featuring the variety’s classic and characteristic citrus fruits, orange peel, grapefruit, and tropical fruits that intermingle with a fresh and delicate floral note. 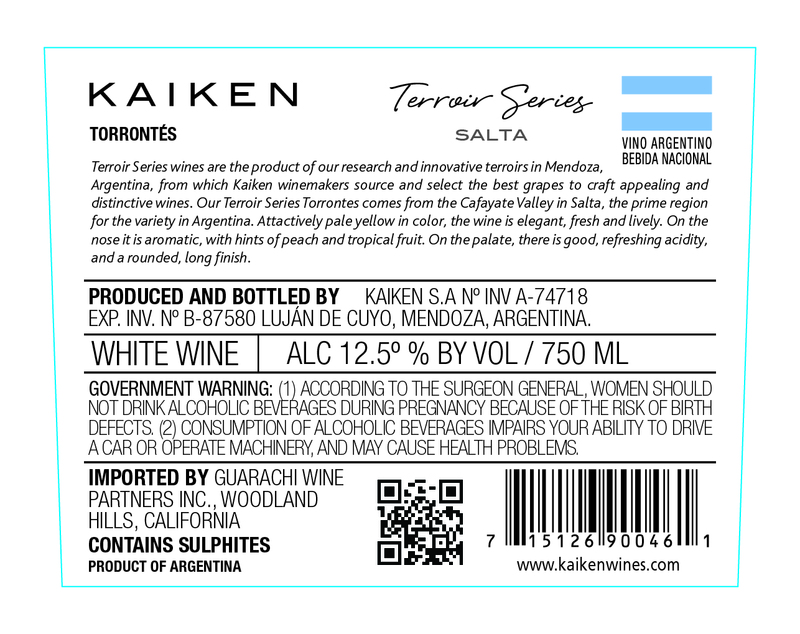 The palate reveals spectacular acidity that pairs with its interesting aromatic profile and tropical flavors to make this a fresh remarkably persistent wine.